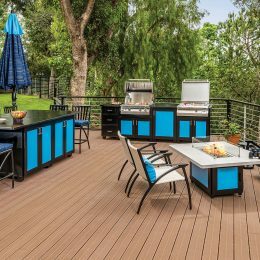 Augusta – a stunning, aluminum group that looks like real wood, without any of the maintenance. 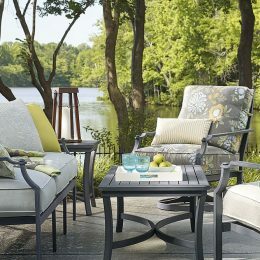 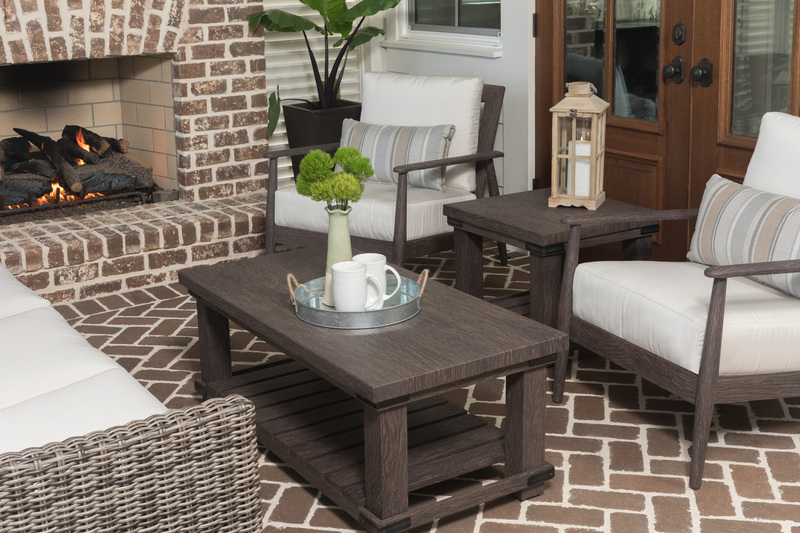 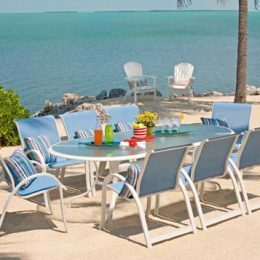 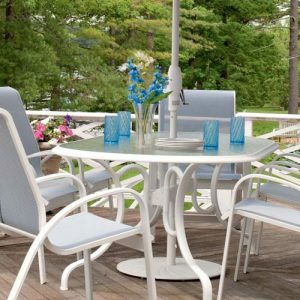 Sure to upgrade any patio, yard, or balcony, this collection features an elegant design that is outshined only by its unbeatable comfort. 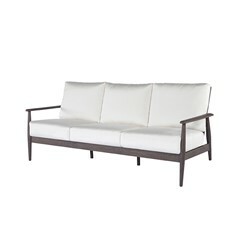 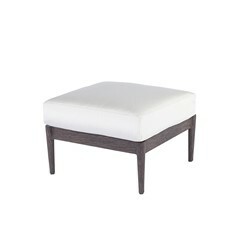 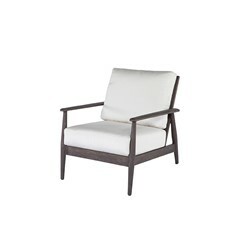 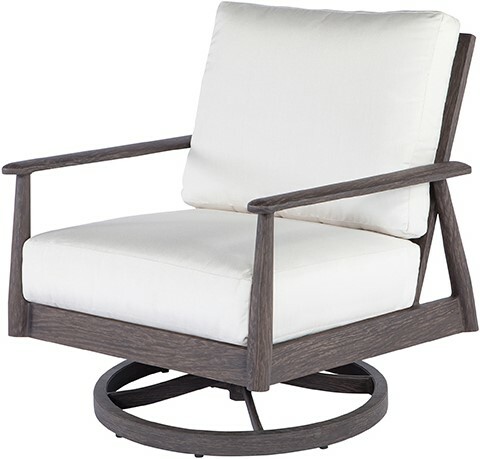 Augusta can also be easily paired with woven furniture, and is offered in both Chestnut and Smoke finishes.